July 18, 2016, 1:24 p.m.
By Taylyn Washington-Harmon @TaylynHarmon July 18, 2016, 1:24 p.m. The pillars of pre-Internet black media are in trouble. Jet, founded in 1951 on the premise of quick, pithy news for the black American, ceased print publication in 2014, moving to an entirely digital presence. Ebony, a mainstay black magazine, has been publishing for over 70 years, but has met its road bump: its sale to a private equity firm in June. Black Americans consume lots of media, but many black-owned media outlets have struggled to maintain themselves financially as their audiences have aged. Trying to fill that void is Blavity, an amalgamation of “black” and “gravity,” which came along in 2014 boasting to be “a community of the most exceptional multi-cultural creators and influencers in the world.” Reaching over 3 million “urban” millennials every month, Blavity provides critical commentary and reporting on contemporary black issues, ranging from social justice, to viral memes, and pop culture. 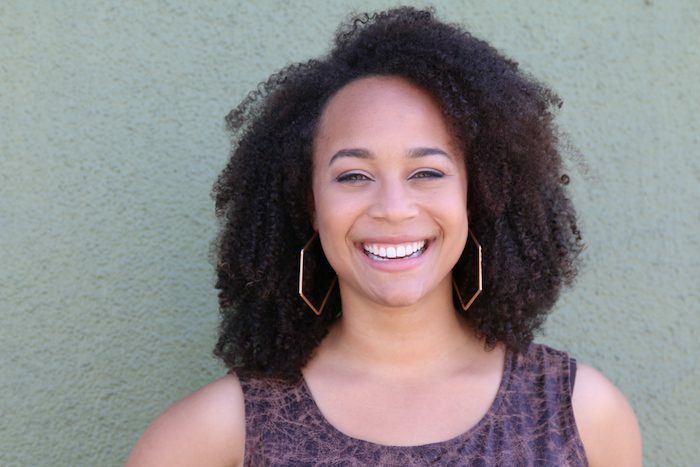 Morgan DeBaun, Blavity’s 26-year-old founder and CEO, started her career in Silicon Valley, working on product management and business development at Intuit, before launching the site with co-founders Jonathan Jackson and Aaron Samuels, and Jeff Nelson. Inspired by her experiences at the predominately white Washington University in St. Louis, DeBaun created Blavity as a platform for what matters to black millennials. She’s been featured in Forbes’ 2016 30 Under 30 list for media, alongside founders of competing websites For Harriet (Kimberly Foster) and The Shade Room (Angelica Nwandu). DeBaun leads one of a number of companies looking to capture the black millennial audience, including BuzzFeed’s vertical Cocoa Butter, “an internal lab started by [BuzzFeed writer] Tracy Clayton that focuses on making fun stuff for and about brown folks.” Taking cues from popular black media of the past and present, Blavity appeals to an audience between that of Bossip and The Root, seeking an intersection between black popular culture and serious race coverage. Blavity Life, the sister brand and women’s lifestyle vertical of Blavity, takes advantage of product partnership with brands aimed at black women such as CurlBox and Essence. With its emphasis on partnerships and advertising, DeBaun must work to devise a strategy that maintains and uplifts Blavity’s mission without falling prey to the financial ailments of print and digital native media. I spoke with DeBaun about her plans for Blavity, its role in the current political climate facing black Americans, and where black-owned media should go from here. Here is our conversation, lightly edited and condensed. Taylyn Washington-Harmon: Blavity is part of an increasingly crowded space for sites targeting black millennials. What do you want Blavity to do that your competitors don’t? Morgan DeBaun: I have to disagree that it’s a competitive space. I think there aren’t that many media companies focusing on black people between the ages of 18 and 30. Most people tend to skew older. What I think is going on that’s interesting and exciting is that, as technology prices decrease, there are these decentralized opportunities for individual voices to build their own audience. So you see awesome results for directors and producers of videos — different platforms have allowed them to build their audiences more quickly and cheaply. I view Blavity as a platform where we enable other people and provide a space for them to also quickly grow their audiences, whether that’s through sharing their content, or them writing on the platform, or us collaborating on content that we can jointly release to both of our audiences. Washington-Harmon: How do you think that Blavity differs from other sites in the black millennial space, like The Shade Room or For Harriet? DeBaun: I’m a huge fan of both of those media companies. I think the difference in a lot of ways is technology. Blavity is building tools for black millennials, and one of the tools is our publishing platform. But in the scope of the world and the future of Blavity, it’s really about combining technology with culture and content and entertainment to create something special that hasn’t been done before. 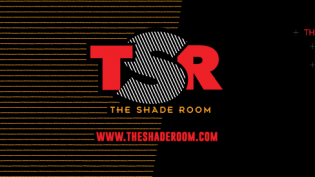 I think For Harriet, The Shade Room, BuzzFeed’s Cocoa Butter vertical are all awesome and I view them as potential partners as opposed to competitors. Washington-Harmon: Blavity also has a sub-brand, Blavity Life. How do Blavity Life and regular Blavity coexist as far as generating revenue? DeBaun: From a revenue perspective, we don’t really split them up as sub-brands. When we’re monetizing our audience and working with brands to co-create content, it’s about the entire Blavity ecosystem, which spans across Blavity Life, Blavity, our daily newsletter that has thousands of subscribers, the events and experiences that we create like the Blavity House, and the EmpowerHer conference. Financially, creating experiences — whether that’s a digital experience, a mobile experience, or a physical experience — we want to make sure that they’re targeted to specific audiences as opposed to having a one-size-fits-all approach to the black diaspora. Washington-Harmon: Tell me a little more about EmpowerHer and Blavity House, which was held at Essence Fest this year. How do those fit into your business model for Blavity? DeBaun: I think one of the interesting things we’ve learned in the last two years is that black millennials specifically spend a lot of their time online and engaging with each other, and forming relationships with strangers in a lot of ways — through Twitter, Reddit, or Instagram — and kind of following the influencers that they like and having conversations back and forth about topics that they care about. When we look at the market, we saw that there wasn’t really an event that focused on black women specifically that was targeted at the 18 to 26, 27 age range, and really focused on innovation and creating your own audience and building your own platforms. That’s why we created EmpowerHer. We sold out, had awesome partnerships and sponsors, and brought people together. It was kind of like an Internet reunion. The Blavity House, that’s a little bit of a different experience. One of the things Blavity is about is bringing people together through things people enjoy. Essence Fest is a huge, huge event. But we found that a lot of people wanna go down there for what may be their first time in New Orleans, but they don’t have a huge friend group, or not everybody could afford an expensive trip for Fourth of July. We wanted to create an excuse for people to hang out and meet each other and just be able to navigate New Orleans. That’s why we created the Blavity House experience. Hopefully things that will be coming down the line are other Blavity House experiences around other big cultural moments and experiences. 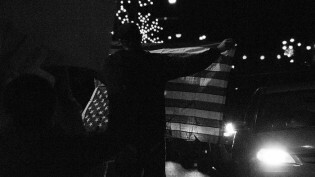 Washington-Harmon: How do you think Blavity fits into the media at a time with so much serious news, like the recent events with Alton Sterling and Philando Castille? How has Blavity tried to set the tone for black media regarding such stories? DeBaun: Blavity was created around a tough time. One of the reasons I left my corporate job and lovely salary was because I was so angry and helpless. I felt like there wasn’t really an opportunity or space for me to talk about what was going on. I was in San Francisco at the time and I saw that disconnect between what was happening on the ground and what people were covering, ranging from the Vices of the world or the BuzzFeeds of the world, and even to The Root or Ebony. It took too long, in my opinion, for people to cover what was really going on on the ground. I was relying on things like Twitter and Vine at the time to give that realtime update of what was going on and where people were and who’s getting arrested. A lot was going on at once, and there was a gap. Blavity has pushed people forward faster to having to cover and verify, and put the power back in the hands of the people on the ground. I think Facebook Live is doing that even further, where you don’t even go to CNN anymore to find out what’s going on. You go to the Facebook Live of the person who’s down on the street. What we try to do, even last week, was be in constant communication with people that are on the ground and offer our help to signal boost things. So when DeRay [McKesson] was arrested, [Johnetta Elzie] texted me: “Tweet this message out! Here’s the contact information. Here’s everything that you need,” so that I can, at Blavity, make sure that our audience knows what is going on and knows how to help. So we all immediately were able to support their effort on the ground. I think that’s the new way of doing things that haven’t been done before when it relates to black media. Existing black media companies will go out of business and old school creators who don’t adapt will have no audience. No one is going to make a reputable tech media company addressing black issues and our shared experience BUT us. Washington-Harmon: You said you think of Blavity as an open platform for black creators, black writers, to share their work. How do you make sure that work fits Blavity’s standards? DeBaun: That’s something that we take very seriously and as we’ve grown we’ve had to fine-tune. We have an editorial team that reviews every submitted piece we get: 10 to 35 submissions a day of essays or videos that people want to get out there. Not everything gets accepted. We want to make sure that we verify information. We try to make sure that there are clear arguments and that things aren’t “alleged” and make sure that there’s a level of standards there. It’s something that we’re going to have to continue to evolve, especially as our technology piece takes more of a forefront on the platform, where more people will be able to submit and write their thoughts. They may not always have a Blavity editor or person that’s going to review it in advance. Washington-Harmon: Do you see it going the way BuzzFeed has with their Community posting option? DeBaun: Not necessarily. It’s more difficult because nobody holds BuzzFeed accountable in the way that black people hold Blavity accountable. People really view Blavity as a trusted source. We’ve got 700 writers, and they’re not going to always agree with each other. We can’t say, one week, Blavity supports Hillary and the next week Blavity supports Bernie. No, a writer, who has an opinion, supports Bernie, and a different writer, who also has an opinion, supports Hillary. There needs to be room for that. To me, that’s really a design problem: On the site, it’s not easy to differentiate between Blavity editorial from our paid salaried staff, user submissions, and community submissions. BuzzFeed has one model of doing it, Medium has another model of doing it. There are lots of different user-generated models that we can look at. Washington-Harmon: Blavity has been investing further in producing original video content and hiring personalities to appear. What are Blavity’s goals for original video? DeBaun: Blavity’s goals in general are to create content and experiences that black people identify with and that they can see themselves reflected in. Part of that is absolutely video, because visual storytelling can be really powerful. We just got our first office in L.A. and it has a studio. We’ll continue to produce as much video content as we can at the quality level that we require to test the market and see what people are interested. We’re testing daily news shows: daily news snippets that go out on social media first, that are designed social-first. Then we have longer-form content and short films that are also in the works. We don’t know — the market’s been moving so quickly, it’s hard to say exactly where it will go. We know that video is a place to invest in and experiment. I’ve given up trying to predict what our audience wants at this point. Washington-Harmon: Blavity’s website design appears to be very mobile-first and stripped-down. Was that a conscious choice? DeBaun: Absolutely. That’s our aesthetic as a brand: We want to be straight and to the point and simple. We’ll continue to put design and the user experience first so that we can continue to be mobile-first and move really quickly. Most of our audience visits us on a mobile phone. When we think about anything related to content and how people are interacting with us, it’s always with: How would this look on Android or an iPhone? Washington-Harmon: With major pillars of black media seemingly fighting for survival right now, particularly Ebony and Johnson Publishing, where do you think black media consumers are going to see themselves represented fairly in the media? DeBaun: I think part of it is some of the companies you mentioned didn’t make the transition to digital fast enough. That’s why the work structures and business models weren’t transitioned to match the times of what advertisers wanted, which was integrated brand campaigns across platforms: access to digital, access to apps. I don’t think that black media is going anywhere. I don’t think that advertisers are not going to be interested in black audiences. It will just look differently, and part of what it will look like is bigger, niche blogs and sites and individual influencers who have created their own communities, getting more of an opportunity to get those big brand deals that were going to magazines 10, 15 years ago. Washington-Harmon: Is there anything that you may want to add as far as the future of Blavity or the state of black-owned media? DeBaun: It’s an interesting time. There’s a lot of movement. One of the things that’s interesting about Blavity is that our entire founding team is based in technology. All of my cofounders worked at big tech companies. Once in the next year, it will be obvious why Blavity is very different from For Harriet or The Shade Room. It’s hard to articulate now because you guys can’t see it, but what we spend most of our time doing is building apps. I think that’s the future. I think that we need to have a black media collective. We have to continue to not just consume products and be first-adopters. Black people were the first adopters to Twitter and Vine and Instagram. Then they become viral and other people start using them. And then we move to the next platform. What will be really impactful, and how we’re moving, is actually to build our own platforms and to be able to own our own audiences. POSTED July 18, 2016, 1:24 p.m.
Washington-Harmon, Taylyn. "Morgan DeBaun on the growth of Blavity, covering #BlackLivesMatter, and the state of black-owned media." Nieman Journalism Lab. Nieman Foundation for Journalism at Harvard, 18 Jul. 2016. Web. 20 Apr. 2019. Washington-Harmon, Taylyn. "Morgan DeBaun on the growth of Blavity, covering #BlackLivesMatter, and the state of black-owned media." Nieman Journalism Lab. Last modified July 18, 2016. Accessed April 20, 2019. https://www.niemanlab.org/2016/07/morgan-debaun-on-the-growth-of-blavity-covering-blacklivesmatter-and-the-state-of-black-owned-media/.